Life is all about illusions. The ones we have about other people, the ones we keep about ourselves, and the ones we hold onto at night so that we can sleep. 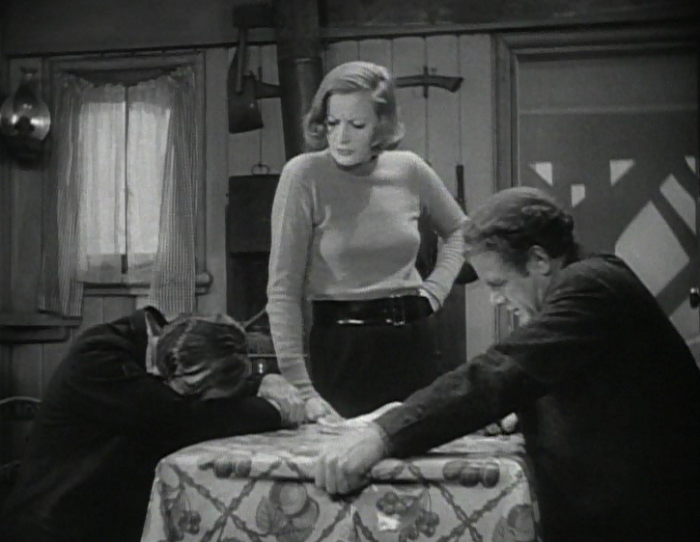 Anna Christie is about those illusions and how they can break. It’s both melancholy and hopeful, a four person story where everyone is trying to make their illusions reality but no one can escape the truths of their past. 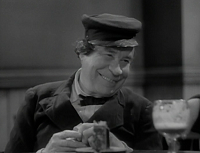 We begin with Chris Christie (Marion), a barge captain. 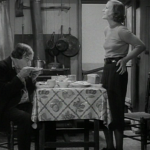 He keeps Marthy (Dressler) with him because they share a deep affection, and Marthy, after years of being a prostitute, is now spending years as a petulant drunk. 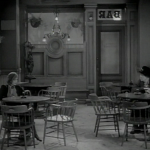 The two bicker but relent, and Christie takes her down to the local bar. He runs home for a moment when he receives a letter saying that his long gone daughter, Anna, will soon be arriving. And who should walk in the door but trouble. 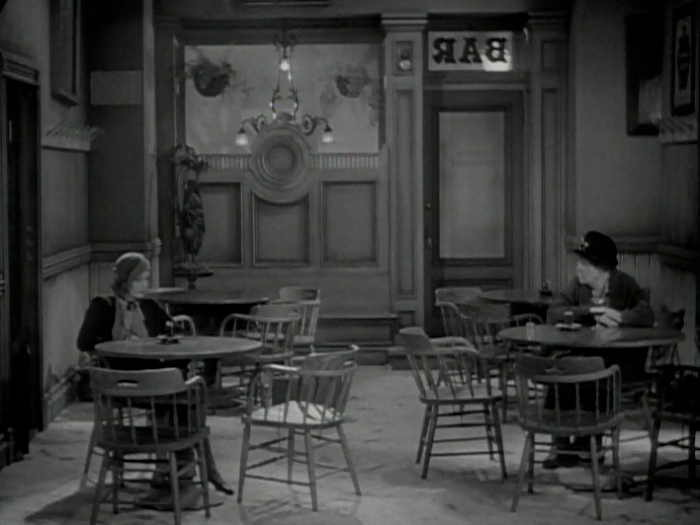 By herself in the lady’s section of the bar, Marthy is witness to Anna’s arrival to the foggy docks of New York City. 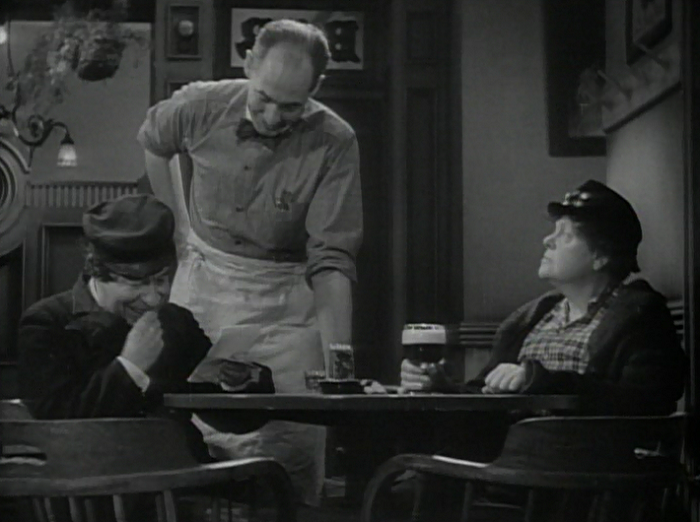 Anna orders whiskey and downs it; we already know her story isn’t going to be much better than Marthy or Chris’s. And it’s not. Marthy listens as Anna explains her past: left by her father with cousins in Minnesota, she was treated as a slave until one of her cousins decided to makes his way with her. She left the farm and moved to the city where she made her way with the only thing she had until she was arrested. After getting out, she wanted to meet the father she hadn’t seen in more than a decade and just get away from the barren Midwest. Chris and Anna have exchanged many letters over the years, both filled with lies. 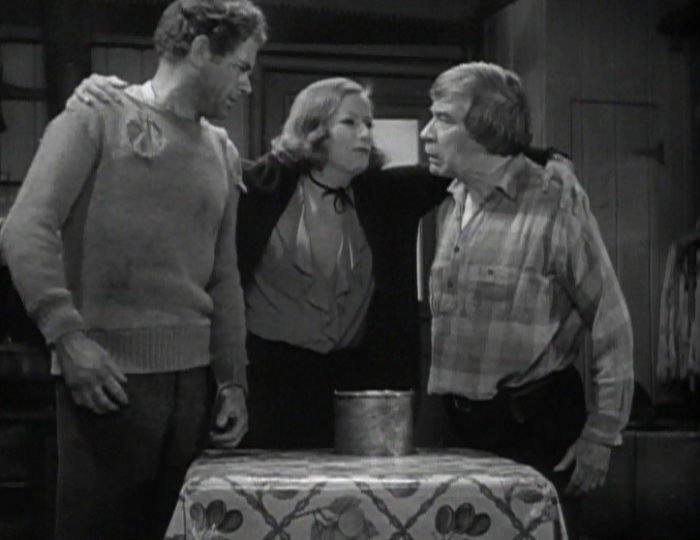 Chris believes Anna to be a good, hardworking farm girl still, while Chris had led Anna to believe that he was a janitor. Why lie to her about being the captain of a sea barge? Because the old man hates the sea. Why does he hate the sea? Oh, because it’s all wet. 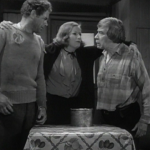 As Marthy rather gracefully departs, after learning Anna’s secrets and knowing that Chris and her love each other deeply, Anna tags along with Chris on a run of coal up to Boston. Here, out free on the ocean, she falls in love with life aboard the ship, much to her father’s disdain. He’s held a grudge against the ocean his entire life, blaming his inability to make it anywhere else and its looming status as a omnipotent trickster for why he had to leave Anna to her mother and sad landlocked life. And while he enjoys Anna’s company, he dreams of taking her back to a farm that the could share and so that she could find a nice landlubber and settle down. But the ocean hasn’t run out of tricks yet. 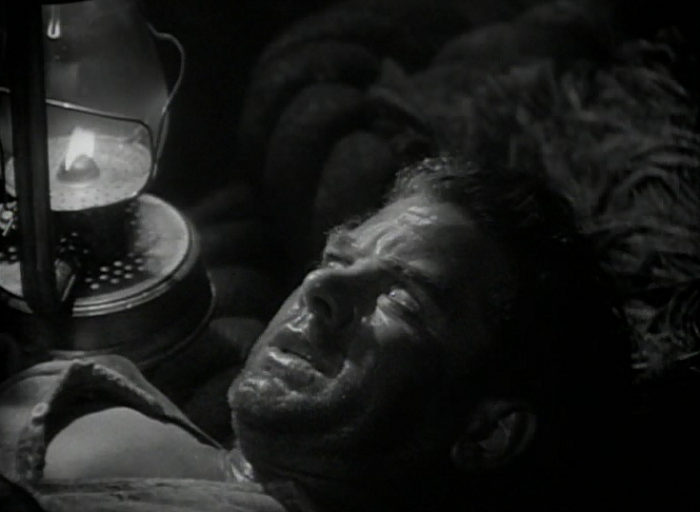 The barge encounters some castaways; two have passed out, but one, Matt (Bickford), is awake and prickly. He puts some rather rough moves on Anna at first before realizing that she can give as good as she can get, and he relents. Much to Chris’ ire, and over the course of a few days the two fall in love quickly. This launches a fight between the two men, both desperately wanting what they believe is best for her– being with them. When Anna can’t stand it any more, she finally disabuses both of their puritanical notions of her, in a scene both powerful and heartbreaking. 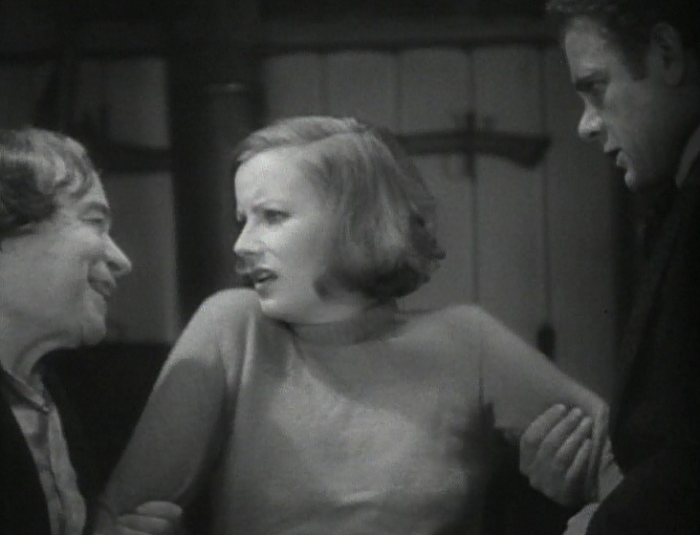 Anna Christie’s reputation as Greta Garbo’s first talking film has often painted it in the eyes of the viewer as a challenge: is Garbo’s voice up to snuff? Personally, I have no qualms with it. It’s a good voice for her face. 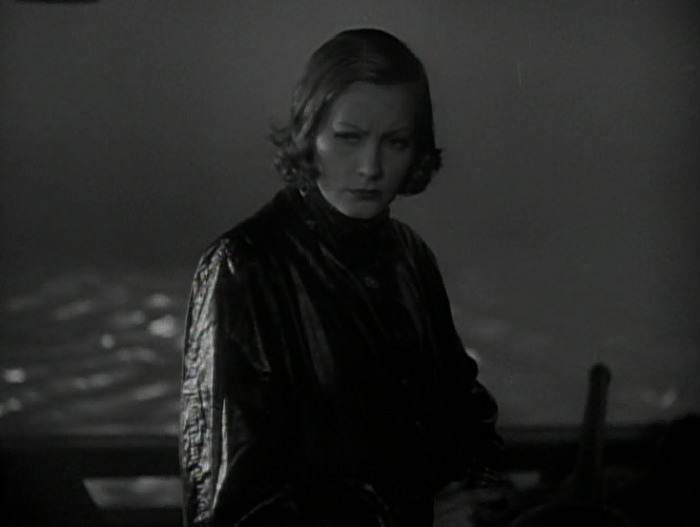 What’s lost in the dialogue is how Christie brings Garbo down to earth. 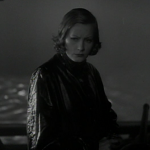 Not the exotic love goddess she was in films like Flesh and the Devil (1927) or the temptress housewife from The Single Standard (1929), this Garbo spends the entire film to trying to wash the mud off herself. And if there is one noticeable downside to the picture, it sadly comes straight from the source: I’m still not a fan of Garbo, and here her stilted deliveries reveal someone as yet uncomfortable with the talkie format. 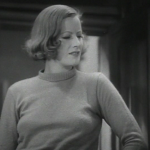 It possibly wouldn’t be as noticeable if not for the fact that Dressler and Marion are so clearly on with their performances, achieving an easy naturalism that Garbo has to reach for. 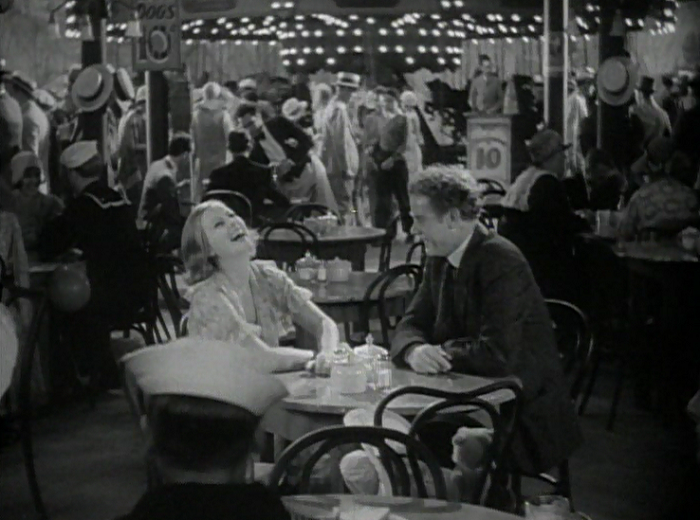 The directing doesn’t do anyone any favors, either, though its aching to look as dynamic as Josef von Sternberg’s Docks of New York (1928). 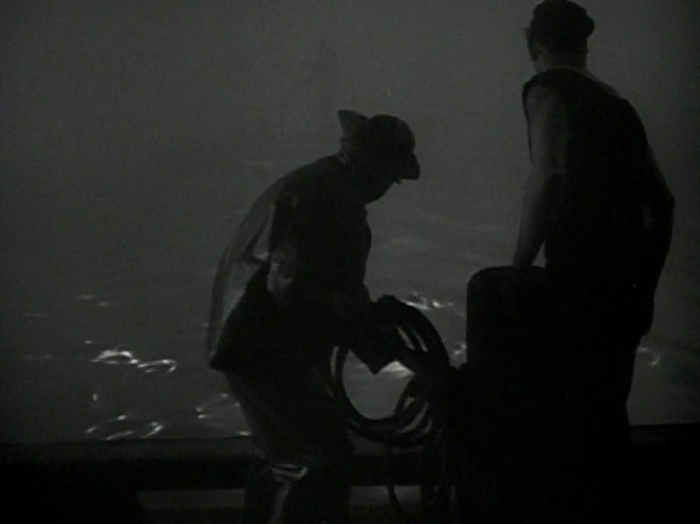 On occasion, such as the foggy rescue of the crewmen or the beautiful use of blur when Marthy reappears to haunt Anna late in the film, work powerfully, but often we’re left with some very lengthy sequences shot in one angle in front of a set, making it feel like the stage play it’s based on. Those are both minor beefs, though, and when the film works, it works. 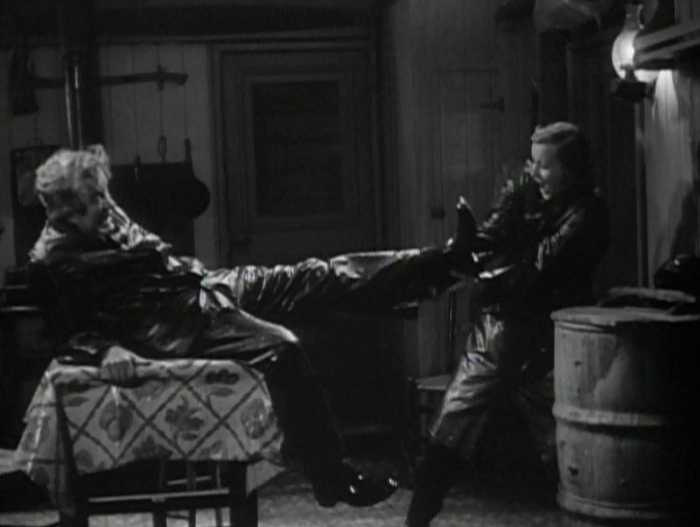 Marie Dressler, who became a veritable superstar after this film’s release, is wonderful as the belligerent but funny Marthy. 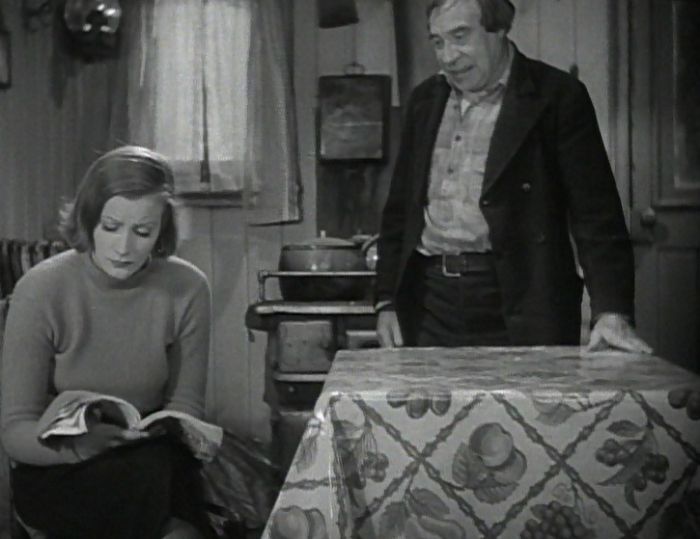 Since the film is so focused on just the four central performances, it has enough dramatic weight to work. 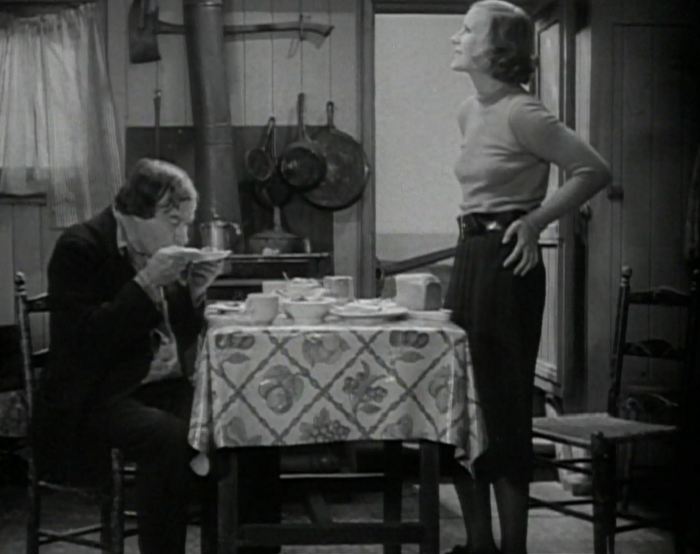 The movie also features a lot of wonderful little moments, including one of quiet heartbreak at the beginning of the film by Marthy that’s just played beautifully. 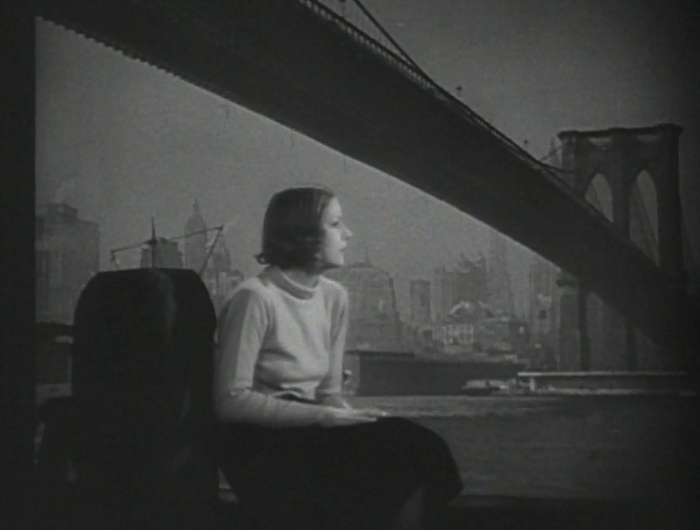 There’s some great touches, like Anna dreading the city and likening the bridge looks to a giant a big spiderweb, only to be sitting under it two acts later and ensconced by the lies she’s been perpetuating about herself. Out of the past, she appears. For the story itself, like I said at the top, it’s all about the worlds we create for ourselves. There’s a wonderful moment where Anna is just setting off with her father from New York, and she sees him coming and quickly throws her cigarette in the water. We so desperately want to be the great people that others see us as that we’re willing to punish ourselves in return. is kind of flimsy in spots, but its heart is in the right place. There’s a cast of four, and two have been prostitutes! 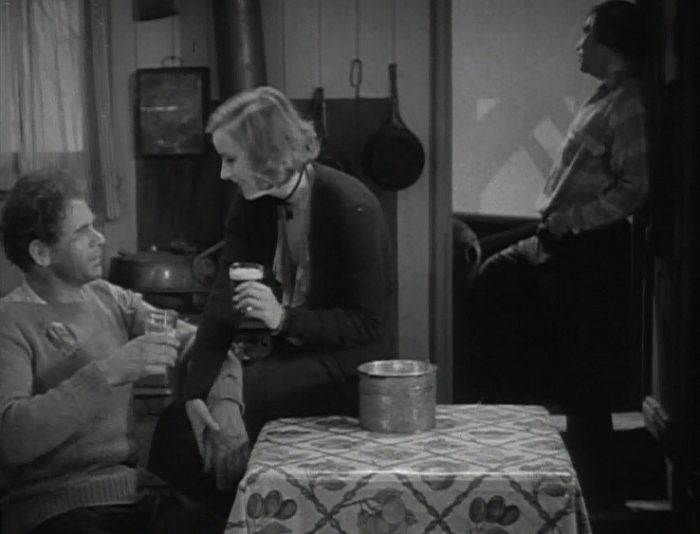 And there are two who are sailors, which isn’t quite as Pre-Code, but always worth noting. Christie’s brutal background story includes an incident with one of her cousins, whom she apparently hated and for good reason, before and especially after. 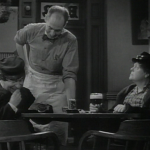 There is an inordinate amount of alcohol in this film considering Prohibition was still on. 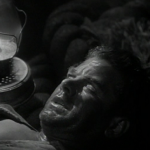 It also makes me nostalgic for the days where emergency medical care constituted a bottle of whiskey. For those of you unhappy that I gave this one a middling score, I did quite enjoy Caterina Benincasa’s perceptive review which talks about the film’s treatment of alcoholism and illusions. 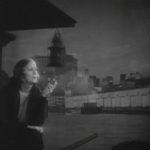 And I usually cram a lot of trivia and tidbits about the film in here, but Garbo Forever— a Garbo fan site, if you can imagine such a thing– gives this film a remarkably thorough rundown. 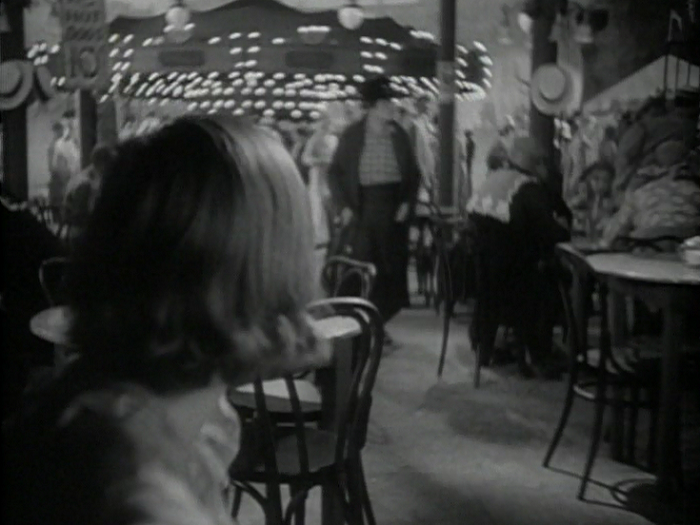 If you’re curious about the movie’s background or you want to see some great stills, definitely check it out. 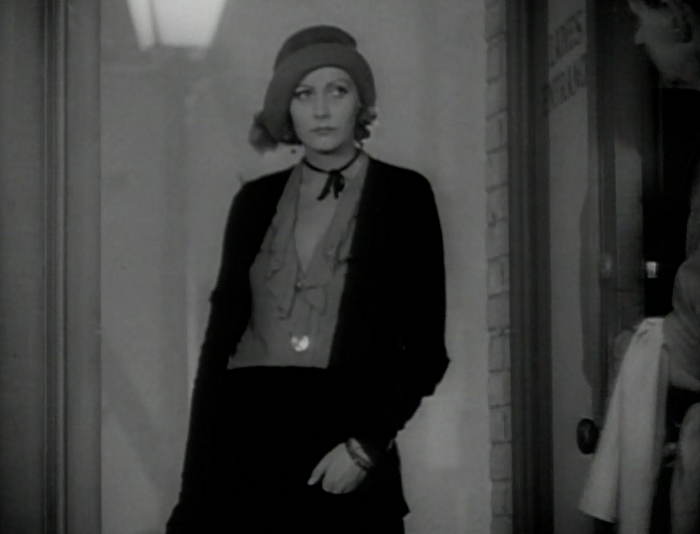 Miss Garbo’s voice from the screen is deep toned, somewhat deeper than when one hears her in real life. The low enunciation of her initial lines, with a packed theatre waiting expectantly to hear her first utterance, came somewhat as a surprise yesterday afternoon in the Capitol, for her delivery is almost masculine. 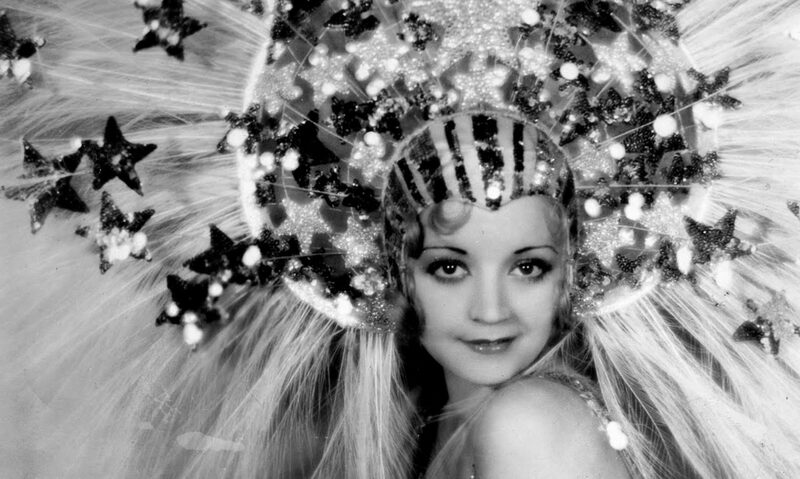 And although the low-toned voice is not what is expected from the alluring actress, one becomes accustomed to it, for it is a voice undeniably suited to the unfortunate Anna. 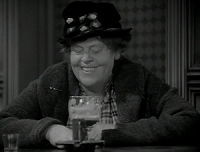 A Mythical Monkey talks about the film’s supporting actress, Marie Dressler, and how he believes she walks off with the film. 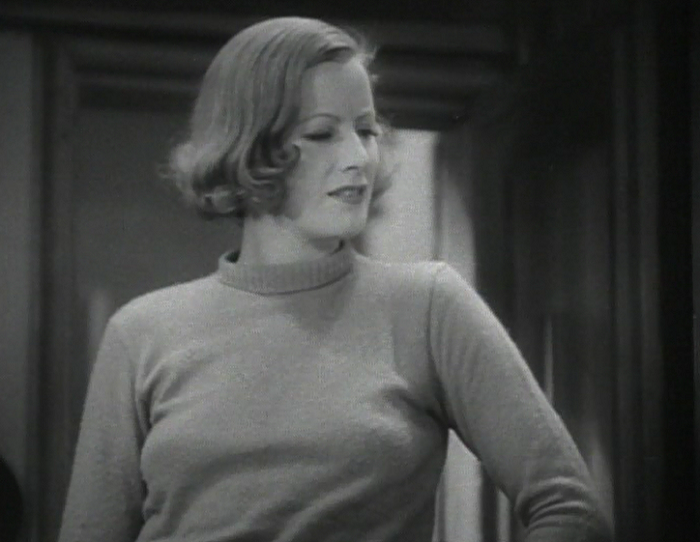 He notes that Dressler, “eats Garbo alive”, and details how she was one of the biggest top office draws of the early 1930’s until her death in 1934. On the other end of the spectrum, Charles Tatum also finds the movie flawed by fawns over George F. Marion as Anna’s father. 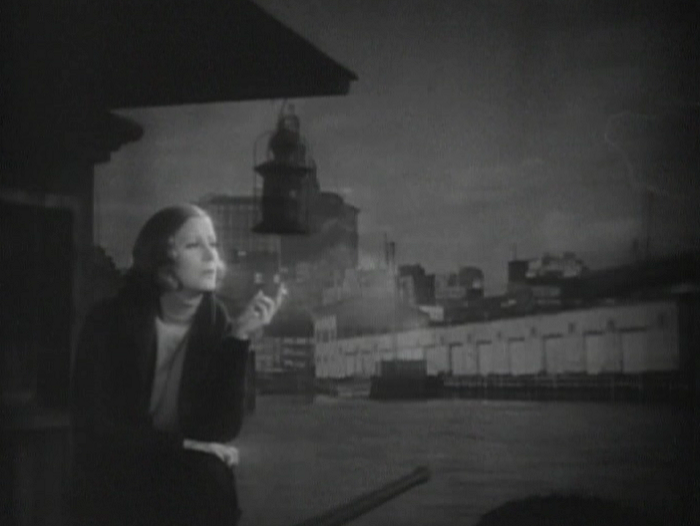 Nominated for three Oscars in 1930: Best Actress for Garbo, Best Cinematography, and Best Director. I bought this years ago as part of a massive Greta Garbo Signature Collection. Mind you, I sold it almost as fast because I’m not a big Garbo fan (and I barely made it out of Camille alive). 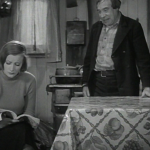 Besides Anna Christie, it includes Grand Hotel, Mata Hari, Queen Christina, Anna Karenina, the splendid Ninotchka, and a double disk offering of Garbo’s silent films. My recommendation for now is that you watch Flesh and the Devil if you watch any of ’em, but I’ll be hitting a number of these yet anyway. Oh, and of course you can get the single disk from Amazon for a whopping $4, as well as stream it or rent it from Classicflix. 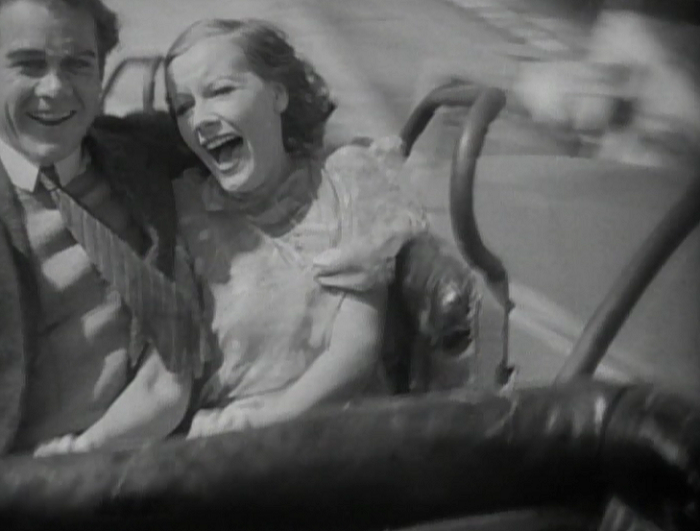 “If one can imagine a Garbo fan site”, now THAT”S FUNNY! Garbo has a stronger following today than any one else in this cast. She’s amazing. Sorry you can’t see her unique contribution to the cinema!